UML Composite Structure Diagram shows the internal structure of a class and the possible interactions at this structure. It include internal parts, ports, and connectors between parts or ports. Each element has some defined role in the collaboration. 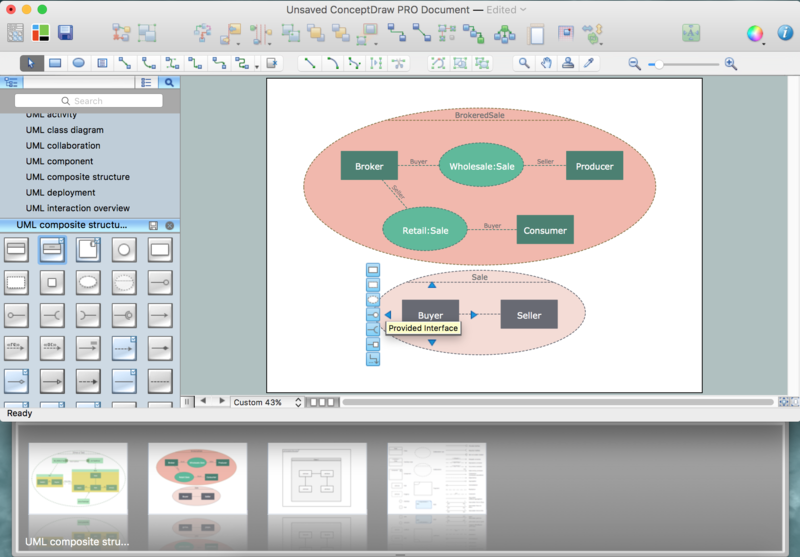 ConceptDraw DIAGRAM has several examples that help you to start using our software for designing UML Composite Structure Diagrams. You can use the appropriate stencils of UML notation for drawing own UML Composite Structure Diagram. 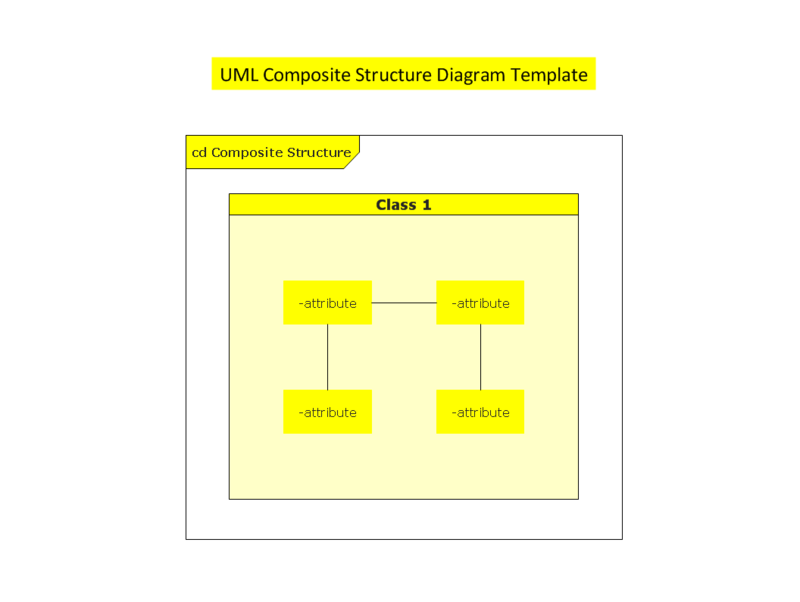 This UML composite structure diagram template is created using ConceptDraw DIAGRAM diagramming and vector drawing software enhanced with Rapid UML solution from ConceptDraw Solution Park. 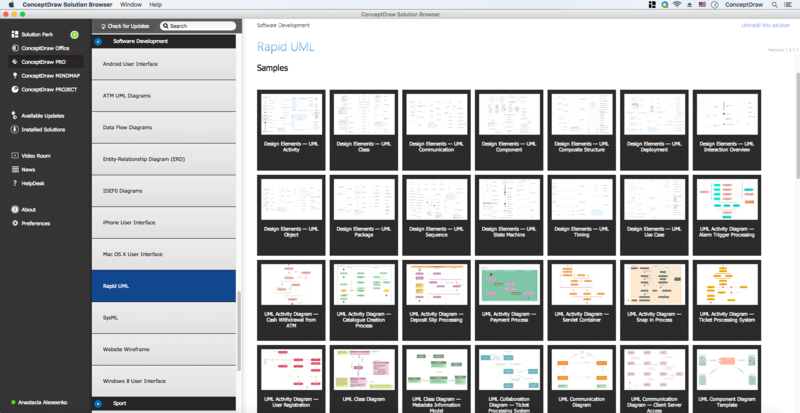 Use ConceptDraw DIAGRAM with UML composite structure diagram templates, samples and stencil library from Rapid UML solution to show the internal structure of a class and the collaborations that this structure makes possible. Use Case Diagrams technology. 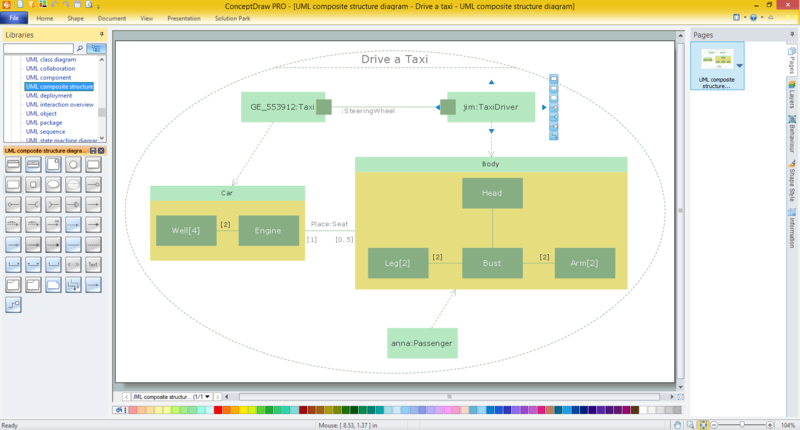 Using visual graphical objects IDEF1 standard allows to model information interrelations. Services UML Diagram. ATM system. This sample was created in ConceptDraw DIAGRAM v12 diagramming and vector drawing software using the UML Use Case Diagram library of the Rapid UML Solution from the Software Development area of ConceptDraw Solution Park. This sample shows the scheme of the servicing using the ATMs (Automated Teller Machines) and is used at the working of ATM banking systems, at the performing of the banking transactions. Choose which of business design elements you love best. Design your own style with Business and Finance Solutions from ConceptDraw DIAGRAM v12 We created a full set of elements, business samples, templates and libraries with vector clip art for drawing the Business Illustrations. Mark your report or presentation, pay an attention of audience on your drawings with vector business design elements. UML Use Case Diagram Example.